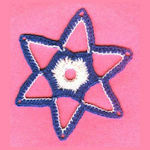 Filet Shell Ornament -- A free Crochet pattern from Julie A Bolduc. 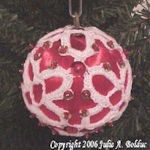 This ornament made with a satin covered 3 diameter ball would be really pretty combined with many more of the same type on your Christmas tree. 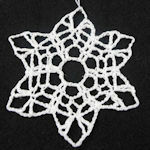 This is my favorite type of Christmas ornament to make.